Recently, I've been engaging on a rewatch of Parks and Recreation. It's a show I haven't revisited too much since its end, and it's made me forget just what a delightful little show it was. It was funny, optimistic and filled with likable characters, and while its optimistic view on politics already seems somewhat outdated, the show's strengths more than make up for it. What else I saw it in, though, was a little bit of Mike Schur's future sitcoms - Brooklyn Nine-Nine and especially The Good Place. In many ways, the critical adoration of Parks and Recreation could be directly traced to those two shows. So in this blog post, I'd like to take a moment to acknowledge Parks and the world of Mike Schur comedies it created. Although these three shows seem very different in some ways, one thing remains true about them - after you watch them, you feel good about the state of the world. Even The Good Place, with its huge twists and turns, is ultimately a show about how people can change and get better. This is baked into the DNA of Parks, a show that seems to believe anything is possible if you really work hard enough and surround yourself with the right people. That's evident in Brooklyn Nine-Nine, too, a show about how things are a little easier if you surround yourself with a close group of friends. And The Good Place, for all of its intricate plotting, has a similar sunny message. Watching Parks, I can see the DNA for all of these shows, and I can better understand the state of mind that Mike Schur is keeping in mind when keeping his new shows. 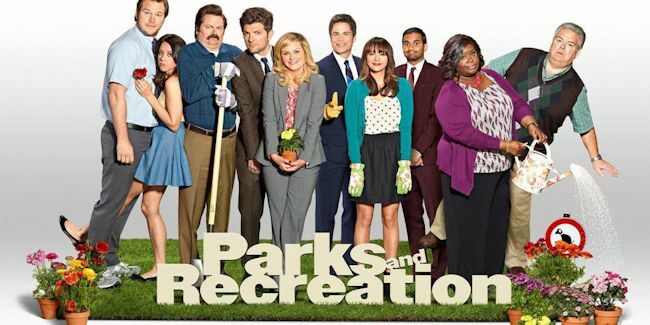 If you're into either Good Place or Brooklyn Nine-Nine and want to see where it all began, I highly recommend jumping into Parks and Rec - it is, in many ways, where it all began. The secret word is "Pee-wee" as IFC announced that it will begin airing the cult Saturday morning classic Pee-wee's Playhouse starring Paul Reubens starting on Thanksgiving. The network will kick off its run of the series during a 24-hour marathon, including the iconic holiday special Christmas at Pee-wee's Playhouse, on Thursday, November 22 starting at 6AM. Subsequently, the show will return to its rightful home on Saturday mornings beginning November 24. Watch, scream out loud and share Pee-wee's return to the silver screen in an all new promo here. For over 30 years, the enormously popular Pee-wee Herman and innovative television series Pee-Wee's Playhouse, created by, and starring Paul Reubens, has captured a special place in the hearts of millions of viewers, young and old. Since its initial premiere on CBS in 1986, this multiple Emmy(R)-winning children's program became Saturday morning appointment viewing for kids in the 80s and 90s and has been a staple in the pop culture zeitgeist ever since. 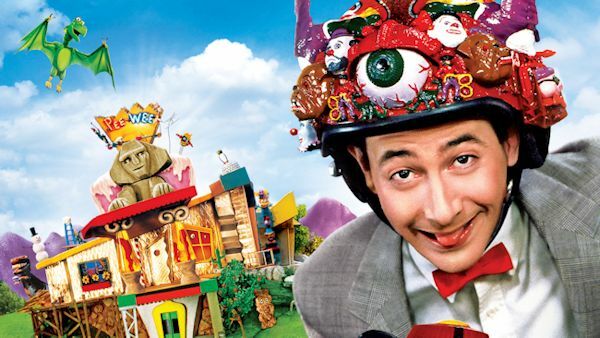 TV Guide named Pee-Wee's Playhouse "one of the top ten cult television classics of all time."